Did you know that facial oils are the rage with celebrities and people looking for that youthful glow? Who doesn't want that youthful glow and if you're like me and not a fan of toxic chemicals in beauty products, you will love Beautycounter facial oils with pure oils with anti-aging benefits. Beautycounter offers 3 different Lustro Facial Oils: Calendula, Jasmine and Ylang Ylang & Wild Chamomile. It all depends on what the scent you prefer as all of these are wonderful! Oils absorb quickly to your skin. And from what I've read, oils adjust to your skin and it's ideal for so many skin types. For someone with oily skin care you might think: I don't want more oil on my skin! But the opposite is true: you can use oil to help regulate oily skin. That said, you'll have to find the right oil and balance for your skin but that goes with any new skin care product. Did you know that all of Beautycounter Lustro Oil Facial products have Rose Hip Oil as the first ingredient? Here's a complete list of ingredients. Formulated without parabens, phthalates, synethetic fragrances, PEGs, SLS or secrets. Rosehip Oil, Virgin Organic Grapeseed Oil, Sea Buckthorn Oil, Virgin Organic Argan Nut Oil, Organic Marula Oil,Meadowfoam Seed Oil, Rose Otto Oil, Steam Distilled Jasmine. Macadamia Ternifolia Seed Oil, Prunus Amygdalus Dulcis (Sweet Almond) Oil, Camellia Japonica Seed Oil, Oenothera Biennis (Evening Primrose) Oil, Cananga Odorata Flower Oil, Triticum Vulgare (Wheat) Germ Oil, Juniperus Communis Fruit Oil, Corylus Avellana (Hazel) Seed Oil, Tocopherol, Jasminum Officinale (Jasmine) Oil, Linalool,Benzyl Benzoate, d-Limonene, Eugenol, Farnesol, Benzyl Salicylate, Geraniol, Benzyl Alcohol. 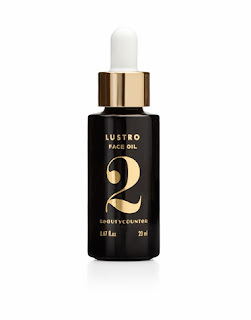 You won't find alcohol but only pure oils with Beautycounter Lustro products. If you're going to reap the benefits of facial oils, make sure you're using products with the highest quality oils and look for ingredients. That's the only way to know what you're paying for the products by the ingredients listed on the bottles. Are they pure oils or fillers? "If you see 1 ounce of Argan for $15 that's not right," says Wong. She adds that these cheaper versions may have added ingredients that make them less effective. P.S. Do you love natural/organic products and looking for a flexible, affordable home-based business that you can do online? Email me or visit my website and join our fast growing company. We've welcomed nearly 400 Consultants in about 8 weeks. You could be the first consultant in your area. If you're in direct sales/network marketing, it's clear to you why you're in it, and my guess is that the #1 reason you joined is because you love the products, right? I'm sure you equally love the company too. But do you ever wonder why you're not selling more products? Or why you're struggling to recruit more people to your direct selling business? It seems obvious to you- the products are fabulous and so is the business opportunity so why aren't people jumping on board? Believe me, you're not the only who has scratched your head on this one. Here's why you might not be getting the results you're looking for and how you can sell more products and sponsor more recruits with a few simple tweaks. I remember when I joined a network marketing business years ago for the first time. I was so green, clueless, but full of excitement that I ended up saying all the wrong things. I was so eager to blab to the world about my new business (ugh) Sound familiar? Since that fretful first network marketing experience, I've been able to successfully sponsor the largest team in my direct sales business and recruited a team of over 40 team members nationwide in only a few months. How? This is the most important ingredient to your success. Mind-set is something you can control. It's how you feel about yourself, your products, your business, and the industry you're in. But more importantly, how you rebound from the setbacks. Especially those no's, those team members you worked so hard to bring on board only to quit, and the ups and downs of this business. My biggest mistake with my first business was talking too much and rambling on and on about how I excited I was. If you're doing all the talking it's a one way conversation. If you're the one talking than you have no idea what your prospect is interested in or if she's interested at all. Just because you're excited does not mean the other person is. I know we're taught to share our excitement in this business but it's best to share your excitement with an audience that wants to hear what you have to say. You should pre-judge and this doesn't mean the same thing as not sharing. This means telling people what you do when asked but pause. If the other person is interested, she'll ask for details. Your job is bring up what you do then listen for cues. Think of yourself as a recruiter for your company. Not everyone's the right fit for your company or even interested in your products and that is a-okay. Understanding your target audience is important. A true prospect is someone who is interested and can afford your product. Don’t sell life insurance. Sell what life insurance can do. Your direct sales business opportunity is more than the great products because it's also an opportunity to make a financial difference in someone's life. Understanding that your opportunity might not be for everyone and focus on those that DO want what your business has to offer. Don't waste your time chasing people who aren't interested. When you're prospecting, focus on what you're prospect is looking for, and share the benefits of your business. For example: if your prospect loves natural/organic products, share the benefits of using products they already believe in but also share your business opportunity. It's a lot easier when you have a captive audience. What say you? If you love these tips, please share with your friends. In this post I'm going to review two products from Beautycounter Essential Skin Care facial products. I'm a consultant for Beautycounter and this review is based on my personal experience as a product user. 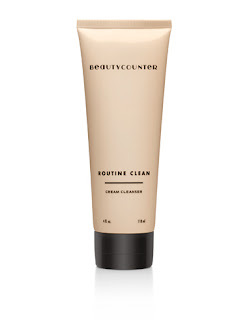 First, what is in Beautycounter products? Actually, I'd like to share what's NOT in Beautycounter products. Our Never List is a comprehensive list of toxic ingredients Beautycounter does not use in their natural products. You won't find toxins such as: 1,4-dioxane, Ethylenediaminetetraacetic acid (EDTA), Formaldehyde (for-mal-da-hide), Parabens (methyl-, isobutyl-, proply- and others) (pār-a-bins), Sodium Lauryl Sulfate and Sodium Laureth Sulfate (SLS and SLES)- to list just a few on the Never List. You can see the complete list here -> Never List of ingredients we avoid. If you're a fan of truly clean, natural products, you can rest assured that the ingredients are safe and our products are effective. Beautycounter's motto is Truth, Beauty, Transparency, No Secrets. Not to mention, the VP of product safety is the former Director at Safe Cosmetics Campaign. Her background not only adds credibility to the products but a wealth of information on what's really clean and natural in the beauty industry. The mission of Beautycounter is to clean up the beauty industry. A gentle face wash for daily use. Organic coconut oil removes impurities and buildup. Aloe, green tea, witch hazel, and floral extracts promote the appearance of healthy, rejuvenated and toned skin. Purifying citrus oils add a refreshing scent. Formulated without parabens, phthalates, synthetic fragrances, PEGs, SLS or secrets. *You can see the complete description by clicking on the image above. What I like about this facial cleanser is that it's very gentle and so effective. I think it would be perfect for sensitive skin, problem skin, and all skin types. There's no suds or foaming and goes on like a light creamy texture. I use it all over my face, including eyelids, and it's incredibly effective in removing make up. After I'm done with this routine wash, I pat my face dry, and ready for moisturizer. Every Day is a lightweight, unscented face cream with organic coconut oil and aloe to hydrate skin. Açai berry, pomegranate, lavender and chamomile soothe and refresh. *You can complete list of ingredients by clicking image above. What I like about this product is that it's lightweight but adds enough moisture for my skin. I don't have dry skin and prefer lightweight moisturizer. I use this for day and night because I prefer simplicity. For someone who needs extra moisture, the PM cream would be perfect. Or add a couple drops of the Lustro pure facial oils to the day or night moisturizer. You can see the Lustro Facial Oils on my website. I'll write a separate article on these wonders :). If you like a solid, lightweight daily moisturizer, this is perfect. It's non-greasy and looks perfect under my mineral make up. I love it. Beautycounter offers a complete facial care line which you can see on my website but I wanted to keep this article simple with two of my favorite products. I'll share more of my favorite products in future reviews. Next week, the Body Care lines including shampoo, conditioner, body wash, and more will be available to purchase. I can't wait! P.S. Beautycounter is a new natural social selling direct sales company launched March 2013. So far, we've experienced great success with well over 300 Consultants in just a few weeks since we launched. With kids line, make-up, and anti aging products all coming out this year, expect big growth ahead. If you love natural yet sophisticated products and would like to open your own Beautycounter business for $85- email me. New direct sales companies launch all the time. But I have not been wowed and excited by a new direct selling company in beauty/personal care business like I am with Beautycounter. A new social selling direct sales company based out of Santa Monica, CA- two years in the making and made its official launch March 2013. And as of April 9, we've welcomed 309 Consultants, in more than 32 states and we're definitely on the grow, daily! It's incredibly exciting to be part of a start up offering truly natural products with no secrets to hide backed by stellar leadership and capital. It has all the ingredients to grow big in the direct selling industry. Direct sales industry is a crowded field. "Mom and pop" natural companies and even organic companies launch more often than you think. I'm sure these companies have really good products but you need more than great products to compete in direct sales. Natural products are everywhere. To attract attention you need great products but also capital, marketing, branding, internet marketing experience, training ... the whole enchilada to go big in direct sales. Beautycounter was started by a female entrepreneur Gregg Renfrew. She partnered with celebrity make up artist Christy Coleman to create chic, luxurious, yet affordable natural products with an economic opportunity for people to share not only great products but be part of the movement to help educate families on toxic chemicals to avoid in personal care products. Our social mission is inseparable from our brand: We educate families about the need for safer chemicals and products, and work to bring about much needed change to the beauty industry—and to our lives. Did you know there are more than 10,000 chemicals in skin care, beauty, and personal care products? Products with lead, parabens, formaldehyde and phthalates, PEGS, that families, babies and kids use daily that are potentially harmful. Of course, with every new company, the products, the buzz are all great, but so what? In the world of direct selling, new companies launch all the time. What is so special about Beautycounter? What's in it for you? As I said early in my post, it's not enough to have great products. You need experience, leadership, the right kind of marketing/branding that wows people, and capital to make it big in this business. And you need a team of consultants that are passionate about the company's mission and the vision. I totally get what Beautycounter is all about. I love how each Consultant can donate $10 of their $85 start up fee to one of three non profits Beautycounter supports: EWG, Safe Cosmetics Campaign, and Healthy Child. YOU get to make a difference to the entire community of like-minded people who care about educating others on the harmful effects of toxins in products. It's a business I'm proud to use and share with others. P.S. As a former #1 sponsor in my previous company and built one of the largest teams with the company by integrating social media/internet and traditional marketing, I can help you leverage the best of direct sales with internet marketing skills to grow your business online. Attracting Leaders or Product Users to Your Direct Sales Business? If you're familiar with network marketing, it's common practice for these companies to offer wholesale options to attract customers. For $10, $29, or $39 depending on company, it's like shopping as a Costco member and it makes sense if you love the products. Plus, when you sign up product users, you'll never know when these "product users" might decide to pursue the business. Once someone loves the products, they're more likely to consider selling the products. Of course, this all sounds good right? But on the flip side, there's a downside too, especially if you're attracting more product users than business builders. Direct selling makes it easy to earn an immediate income by selling products directly to a consumer. With most companies averaging around 25% retail profit: sell a product and you earn an easy 25% right away. That's the simplicity of the business. But when you sign up a bunch of wholesale customers they're technically consultants and part of your team. 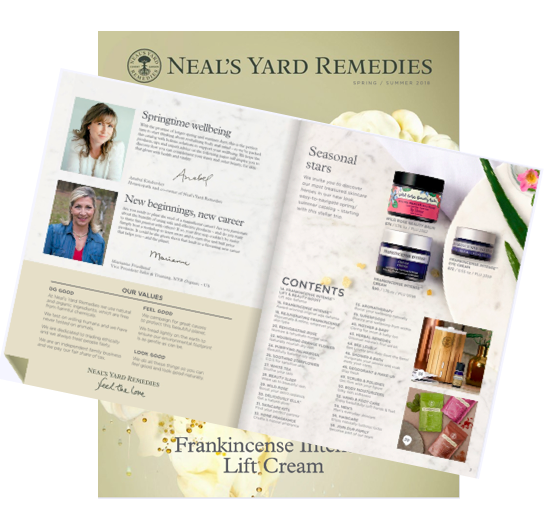 Network marketing is structured differently but most direct sales companies such as NYR Organic and Ava Anderson Non Toxic which are similar. These companies offer a start up fee of $99 which comes with $250 in products. This makes it easy to attract product users. Sign up for $99 and it's a bargain to get all those products, even if you decide not to do the business after you get the kit. Although these direct sales/party plan companies aren't pitching their start up fees as a "wholesale" option as network marketing companies do but people sign up anyway because it's a great value. So what's the deal? And how is this not good for your business? It's not bad and unless you have a lot of consultants as product users, your team won't have enough monthly team volume for you to earn a commission. Let's say your company pays you 2-5% for the people you've personally signed up. In the case of product users, they're signing up to enjoy the products at a discount so whatever they buy is for personal use. Best case scenario, they might even sell a few products here and there but they're not one of your business builders. Even if your best product user spends $100 a month- 5% of this is hardly anything. Not to mention, to earn commission from your team sales, you must meet a certain amount in your personal sales volume as well as a minimum volume from your team. So, if your company requires that you must have at least $100 in personal sales and your team volume must be at least $1000 and you only have one or two consultants that are product users ... guess what? You've earned ZERO for the month from those two product users. That said, not all companies have the same compensation plan. Some companies have lower team volume requirement which would make signing up product users easier to earn a commission but given this example above, you'll need a lot of product users to earn a commission from them. Team building is long term income for those that are willing to work at it and stick it out for the long haul. If you're planning on selling to a few friends, stick to re-selling at retail, because earning an immediate 25% makes more cents. I would prefer a low start up fee to make it affordable for people to get started with some samples or a few products but not to a point where people are signing up just for the products. If you're a business builder you're looking for a balance of product users and people who are actually interested in building a business. A company with only product users and not enough business builders is not good for the company either because you need sales to grow. If you don't have business builders out there selling, sponsoring, and teaching others to do the same, the company will be slow growing and might not have enough sales revenues to stay in business. P.S. 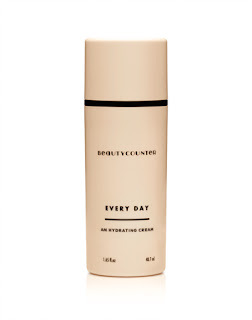 Have you heard of Beautycounter yet? First month in business broke all sales records and we welcomed hundreds of consultants in 32 states and growing. Look at my website under Events for upcoming Launch Events in a major city (hopefully near you). Email me for more info and how to RSVP. A friend of mine and I were chatting the other day about "what's out there" in terms of natural direct sales/party plan companies and she was surprised at the number of companies that have been in business for years yet she has never heard of them. 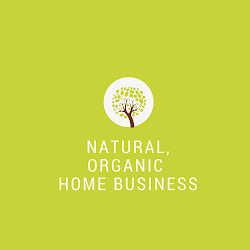 Daisy Blue and Lemongrass are two natural companies that have been around for 10 years yet these companies have around 1000 consultants nationwide. In the business of direct selling, this is tiny and virtually unheard of. Then there are new comers that seem to explode off the charts. Perfectly Posh is one with 3000 consultants (or more) in about 1 year in business. Of course, it's not a race and some companies grow slowly, yet steady. But some companies have that wow factor and it takes off quickly attracting attention and inspire others to jump on board. People want to be part of something exciting. This was the case with Thirty-One Gifts when it launched years ago attracting thousands of people. So why do some companies explode while others mentioned above remain small even after a decade in business? Randy Gage, who is well known in network marketing, and considered an expert by many, said in one of his articles that some companies will always stay small because they don't have that wow factor. I'm not saying Daisy or Lemongrass don't have that wow factor because what one person loves the other might not. One of the reasons some companies stay small could be due to the perception of it being a "mom and pop" business. It doesn't have the stellar leadership or savvy marketing or capital to go viral. The fact is great products are everywhere. For a company to explode and be a top player in the crowded field of direct selling, success depends on more than just great products. Think of some recent companies that exploded in recent times. These companies have exceptional marketing, branding, leadership, capital and training to be multi-millionaire dollar companies. These companies know how to launch by doing event blitzes in major cities and using social media/internet marketing to spread the word. It's impossible to roll out the red carpet when launching a new company unless you have the capital to do it in a way that attracts people on a national level. Does your company have the wow factor to go big? Direct selling is a competitive and crowded field. If you don't have stellar leadership, products, savvy marketing, branding, training, and capital ... the odds of making it big in direct sales is dismal. Your thoughts on why some direct sales/party plan companies never make it big or even make it at all?